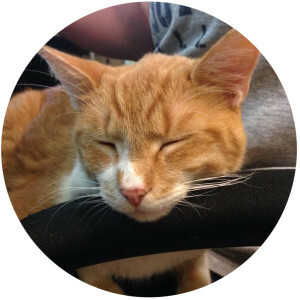 Archie was born in West Monroe in 2013, then moved to Shreveport as a kitten and joined the Richard Creative team. He excels in customer relations and networking. He enjoys climbing, sleeping, getting underfoot, cuddling, and occasionally running around all wild-eyed with no discernible purpose.